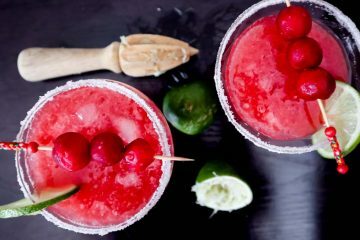 This Game of Thrones recipe is in honor of a favorite character, the Mother of Dragons, with an exotic Mother of Dragon Fruit Salad … and a bonus Mojito cocktail recipe. 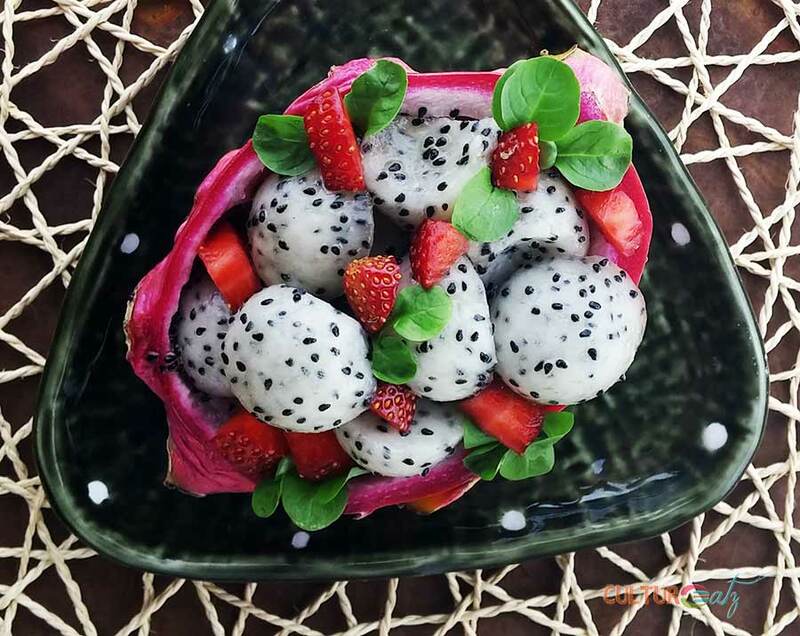 Dragon fruits can have red or white flesh, and they are just brimming with nutrients. Each fruit is packed with natural fiber, protein, vitamin C, antioxidants and Omega-3s. It has also been known to lower and stabilize blood glucose levels for people who suffer from Type-2 diabetes, while also decreasing levels of bad cholesterol. All good things to keep Daenerys Targaryen healthy and be a good Mother of Dragon Fruit Salad! 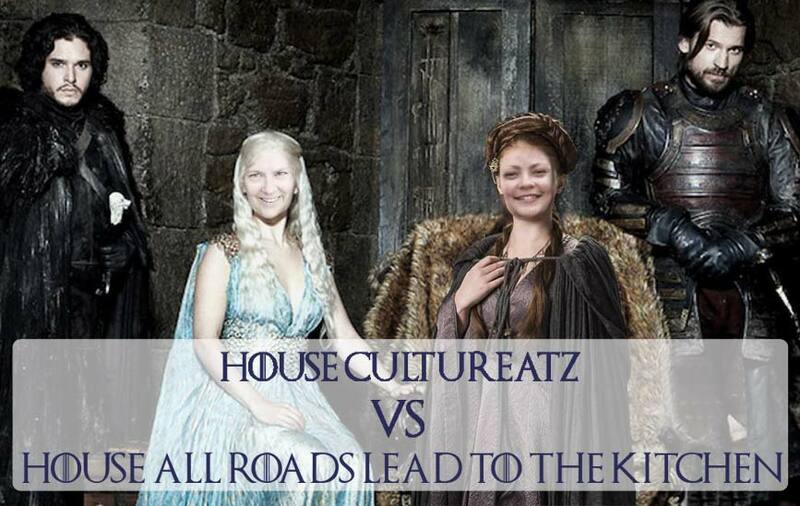 Welcome to Day 5 of the Epic Game of Thrones Food Battle between myself at CulturEatz and Heather at All Roads Lead to the Kitchen! 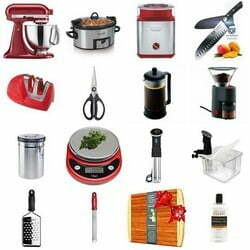 We are having a week-long recipe battle in honor of the long-awaited return of the show which premieres this Sunday. 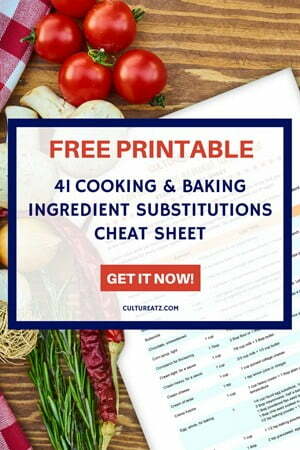 Heather and I are both big fans and after a few email exchanges we settled on this plan: we will each take turns every other day posting 3 unique recipes each. And on Sunday July 16th we chose a specific theme we must both follow – but our recipes will remain a secret till our posts go live! Make sure to visit our sites each day this week to see all our Game of Thrones inspired recipes! 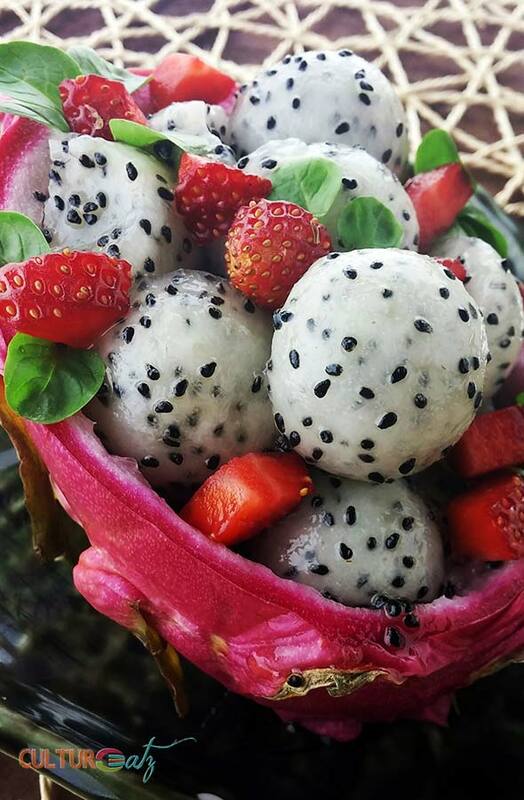 How many of you have tried a dragon fruit before? Lift up your hands! Hmm, not as many as I would like. 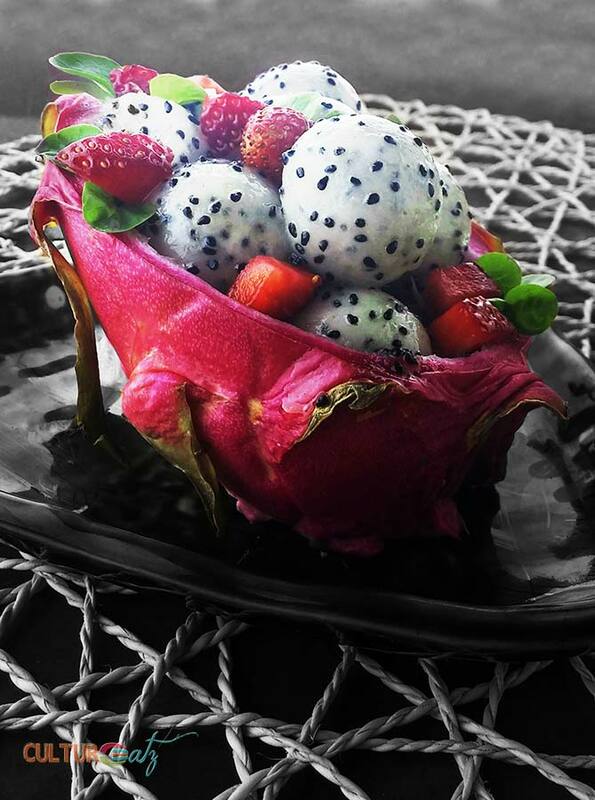 As exotic as the dragon fruit looks, the taste is relatively mild so you will not get a scary surprise. The fruit’s real name is Pitaya. Although it is commonly grown now in Asia for the world market, it is not an Asian fruit at all. Turns out the cactus fruit Pitaya is actually native to Mexico and the South and Central Americas. Now even if you are not a fan of the show, you probably know that there are dragons in Game of Thrones. They belong to Daenerys Targaryen who is aptly named the Mother of Dragons. Daenerys is one of the last confirmed members of her house. She is very clever and will play the weakling until it is time for her to show just how powerful she can be. When she is married she is offered three petrified dragon eggs. The eggs all hatch, the first in a long time, and she raises them. Her story is long but she basically conquers every place she goes…and her final desired prize is all of Westeros. When I saw a bunch of dragon fruits at the market I instantly knew what my main inspiration would be for the Mother of Dragons. I found this idea of presentation over here, like Daenerys , a pretty and exotic salad with a touch of danger emanating from it. Cut the dragon fruit in two on a diagonal and cut a slice on the bottom of the peel (wihtout cutting through the whole wall) so the fruit can stand up and be used as a serving bowl. Scoop out the white flesh of the fruit with a spoon or melon baller and place into a bowl. Drizzle with the honey and toss gently. Spoon fruit back into the peel and decorate with starwberries and lettuce leaves. You can see all of the Epic CulturEatz Game of Thrones recipes here and if you want more GOT inspirations check out the Baking Mischief’s #AFeastofThrones linkup with Fandom Foodies! Feeling left out because you have not seen or read anything from Game of Thrones? Check out what all the fuss is about with the Five Novel Book Set or the Season 1 -6 DVD Set. And I am giving you a bonus recipe too! 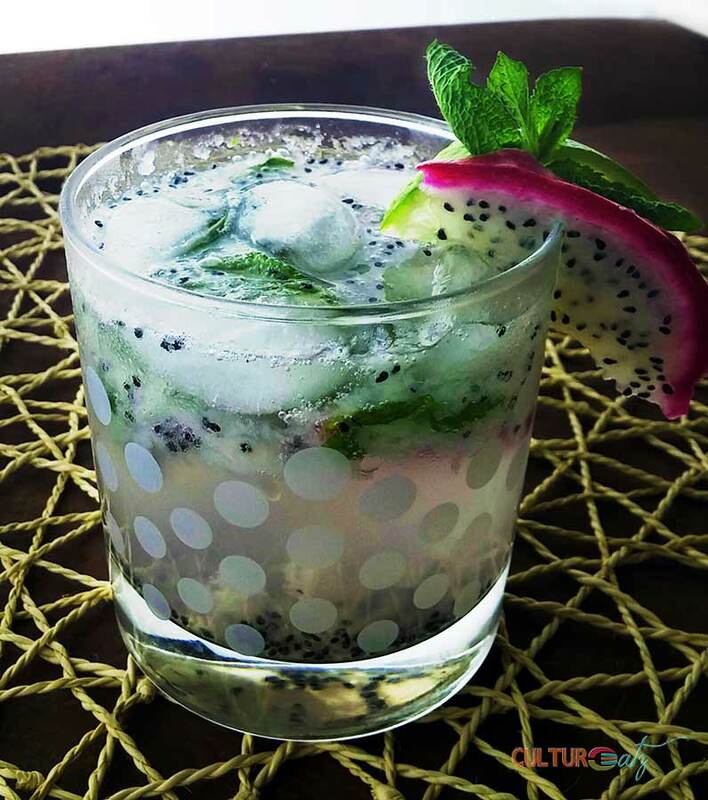 An exotic twist on the mojito using the dragon fruit inspired by this recipe at Hot & Chilli. See I am always thinking of you, my readers. I had a little bit of leftover flesh…I could have just eaten it and you would be non the wiser! But I made this cocktail just for you! And guess what? it is lip smacking good! In the bottom of a glass, muddle the dragon fruit flesh, strips of dragon fruit peel, mint leaves, and sugar until the sugar has disolved. Add the rum and about 5 ice cubes to the glass. Mix well. Top off the glas with soda water. Garnish with lime, mint leaves and a strip of the dragon fruit. 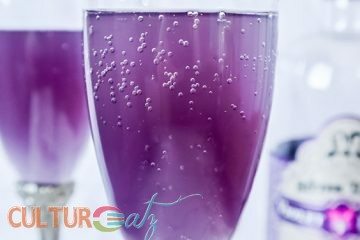 Here is a quick video on how to prepare the cocktail as well! Please subscribe to the CulturEat Youtube channel if you have not done so yet! what a creative thing the two of you are doing. I maybe one of the few who have had dragon fruit. Thanks for these lovely recipes! Thank you so much Carol, we had a blast with our collaboration. Glad to know you have enjoyed these fruits before! Thanks Carmen it was fun to make and eat! 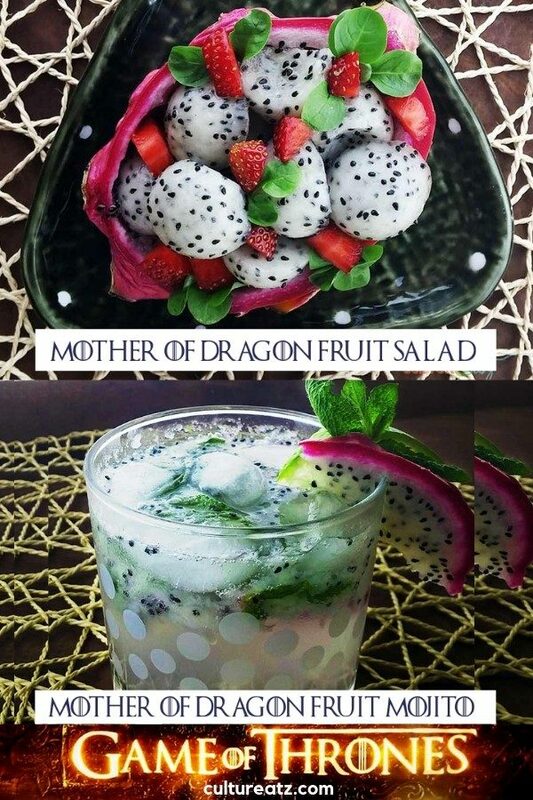 Wow, both recipes using dragon fruit look amazing...especially the mojito! I love GOT and I should have prepared this salad for the premiere yesterday. But, it's never too late for a delicious fruit salad! That is so cool! I love how the balls look in the cocktails, so cute. ;) Was just watching a Chris Pratt movie where he eats dragonfruit and my husband was asking if I had ever tried it. Wow that looks amazing!! I love dragon fruit but that salad and that mojito looks so good and refreshing! I need to try to make it myself! Thanks Rosana :-) I was actually inspired by your cocktail! I love how pretty dragon fruit are. I didn't know they were from Mexico. Thanks for the share. Yeah I was surprised by the Mexico connection toot. Thanks Tandy! Wow! What a stunner of a salad! I can totally imagine how amazing the mojito would taste too. The dragon fruit looks interesting, It's a beautiful presentation and I'm sure I would like the fruit and the mojito! I saw some in the market the other day, but really didn't know what to do with them so I passed them by. Now that I know how beautiful they are on the inside, I would buy it for fruit salad. Thank you Judee and glad you will get it next time. It is an intimidating fruit if you do not know what to do with it...but a fun one to try. Enjoy! This is almost too pretty to eat! It seems simple enough. The perfect summer snack. I can't wait to try this, thanks for the recipe! 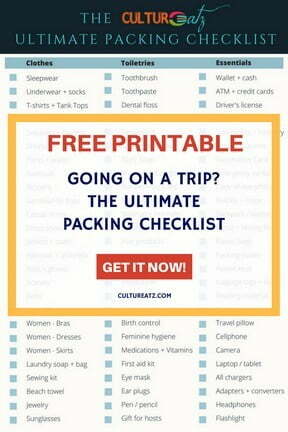 Thanks Shannon and and it is super easy indeed, enjoy! What a clever idea! I couldn't eat the strawberries but I suspect another fruit would work too!!! Wow, your salad is just stunning! And your mojito isn't so shabby either! Dragon fruit is so pretty. Thanks Liz! They were fun recipes to come up with with a unique fruit! Thank you Taruna and no problem just skip the alcohol it will still taste great! These are such fun recipes! Dragon fruit is so pretty...and exotic...perfect for our Mother of Dragons! Thanks Heather! I saw the dragon fruit and a big light bulb went on ha ha! I am loving the idea of that dragon fruit mojito! Can't wait for the shows return either. Thank you Emma! 2 more days! Super creative. I keep reading these posts with bated breath b/c I'm hoping there's not a spoiler. We are like on season 2 or 3 I think. :( Love the mojito twist! I too love the idea of using the dragon fruit shell as the salad bowl. Both salad and mojito look so beautiful! 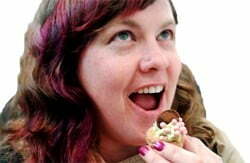 Thank yuo Angie, yeah using the shell as a bowl is fun and great for presentation!